6 months ago by S.
Ron is a strategist when it comes to divorce and is a true talent in his field. If your case is far from settling amicably, hire this law firm. I was always comfortable asking questions about the process (divorce), and received compassionate and thoughtful answers. Would recommend highly. 1 year ago by M.
I would recommend Shulman Law Firm, specifically Farah and her team, to anyone who values transparency and perseverance to get the job done above anything else. I was just broken after the sudden separation from my then wife and baby son. My first appointment was with Ron and he was very comforting. They helped me with a time sensitive issue and took the time to ensure they addressed my concerns and answered all my questions. Every time I walk out of her office after meeting with her, I feel confident, I feel secure and I feel trusted. Thank you so very much Farah Sidi. I worked with Rick Peticca and staff. Rick was very forthright with me and extremely well versed in the process, it was very helpful in a time of unknowns and turmoil. They were involved in every stage of the process as if it was their personal matter, with full understanding of the difficulties that I encountered. Professional, prompt and friendly made the process less stressful. I would recommend them to anyone who needs this type of service. Family matters can be painful and stressful so it makes the situation less of a burden when you know that you are in the hands of competent, professional individuals. It was an absolute pleasure working with Ron and Shulman Law staff. Excellent service that’s delivered on time. Thanks – M.L. North York. Excellent and understanding service. Very professional and not the bullies like other law firms which I can’t name unfortunately. Thank you! 3 years ago by C.
It was a stressful process and at times hard to see the end being near, but I’m overwhelmed with happiness that I got what I’ve always wanted. After a hard year of battling back and forth, Mr. Shulman managed to negotiate a fair deal with someone I considered impossible to reason with. Shulman Law Firm was nice to me and worked like a renegade barracuda for my case even when I was a little bit unreasonable… Good lawyer. 5 years ago by A. A tremendous weight has been lifted off my shoulders and life can proceed without obstruction and for this I am truly grateful. 5 years ago by P.
Although going through a separation and then the final divorce is not easy for anyone, I would highly recommend this firm. Thanks Ron to you and your amazing team! I just met with Ron Shulman to get consulting regarding some family matter. I must say that out of 2 other lawyers I met he seems to be the most professional. Since the day I walked in Rick Peticca and firm provided professional legal service to negotiate a post divorce agreement with the opposing party. When I first met Rick, he understood my situation and I felt really comfortable. I’m very fortunate to have had him work on my file. From my very first meeting with Rick I felt very comfortable and at ease. I needed someone that understood what I was going through emotionally. 6 years ago by J. Within a year I got sole custody, been able to get a passport without the other parties’ consent and change my son’s last name. Thank you so much! 6 years ago by A.
I have used the services of Ron Shulman and cannot speak highly enough of the caring, expert service I have received from Ron and his staff. 6 years ago by D.
Rick Peticca was able to put my experience into perspective, helping me to act from a base of reason, instead of anger. He explained the law, and helped me respond constructively. Mr. Rick Peticca is a phenomenal lawyer and we were very fortunate to have had him, Stephanie and everyone else at Shulman Law Firm work on our file. 6 years ago by L.
Thank you for the help. Your professionalism toward my separation is excellent. You protect my interests from the beginning to the end. 6 years ago by V.
Rick Peticca was professional, kind and considerate. He never misled me. He always kept me aware of what could be expected, good or bad, so that there’d be no surprise. 6 years ago by M.
The results were incredible and I am very satisfied with the outcome. The knowledge and confidence of Ron and Rick have given me peace of mind. 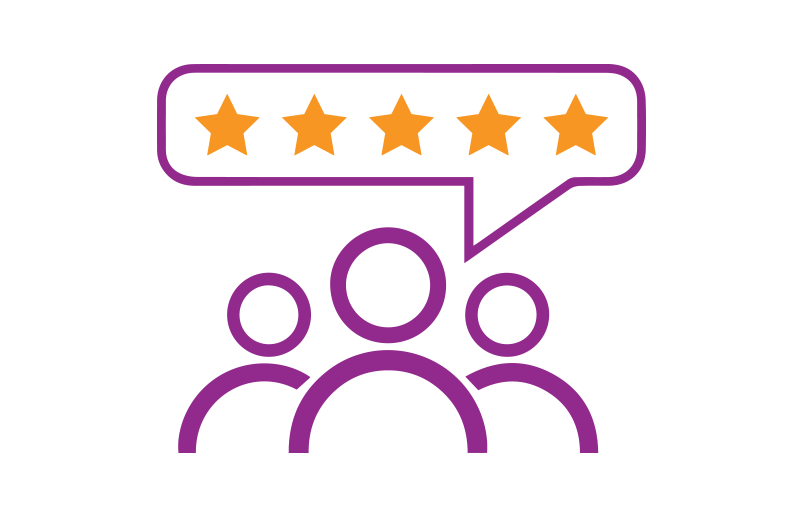 I am truly happy with the service I received, and they have not only helped me with my divorce but also counseled and supported me through every step. 7 years ago by P.
Your support staff/law clerks are also the backbone to your organization and are truly a blessing in dealing with myself and my case. 7 years ago by K.
8 years ago by G.
8 years ago by L.